Dutch anti-piracy group BREIN has responded to last week's Usenet related raids. The Hollywood-backed group describes Usenet as a refuge for pirates of all ilks, with uploaders, site owners and resellers working in tandem to facilitate copyright infringement. "It's stinking on all sides," Kuik says. It’s also one of the few groups keeping a close eye on Usenet piracy. Although Usenet and associated piracy are a few decades old already and relatively old-fashioned, the area still has millions of frequent users. This hasn’t escaped the attention of law enforcement. Last week police in Germany launched one of the largest anti-piracy operations in recent history. Houses of dozens of suspects connected to Usenet forums were searched, with at least 1,000 gigabytes of data and numerous computers seized for evidence. In their efforts, German authorities received help from international colleagues in the Netherlands, Spain, San Marino, Switzerland and Canada. Rightfully so, according to BREIN boss Tim Kuik, who describes Usenet as a refuge for pirates. 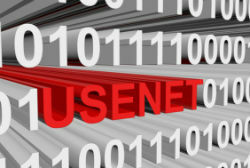 “Usenet was originally for text only. People were able to ask questions and exchange information via newsgroups. After it became possible to store video and music as Usenet text messages, it became a refuge for illegal copies of everything. That’s where the revenue model is based on today,” Kuik says. BREIN states that uploaders, Usenet forums, and Usenet resellers all work in tandem. Resellers provide free accounts to popular uploaders, for example, which generates more traffic and demand for subscriptions. That’s how resellers and providers earn their money. The same resellers also advertise on popular Usenet forums where links to pirated files are shared, suggesting that they specifically target these users. For example, one of the resellers targeted by BREIN in the past, was sponsoring one of the sites that were raided last week, BREIN notes. Last year BREIN signed settlements with several Usenet uploaders. This was in part facilitated by a court order, directing Usenet provider Eweka to identify a former subscriber who supposedly shared infringing material. Following this verdict, several Dutch Usenet servers were taken over by a San Marino company. But, according to BREIN this company can also be ordered to share customer information if needed. “It is not unthinkable that this construction has been called into existence by Usenet companies who find themselves in hot water,” Kuik says. According to BREIN it’s clear. Large parts of Usenet have turned into a playground for pirates and people who profit from copyright infringement. This all happens while the legitimate rightsholders don’t see a penny.